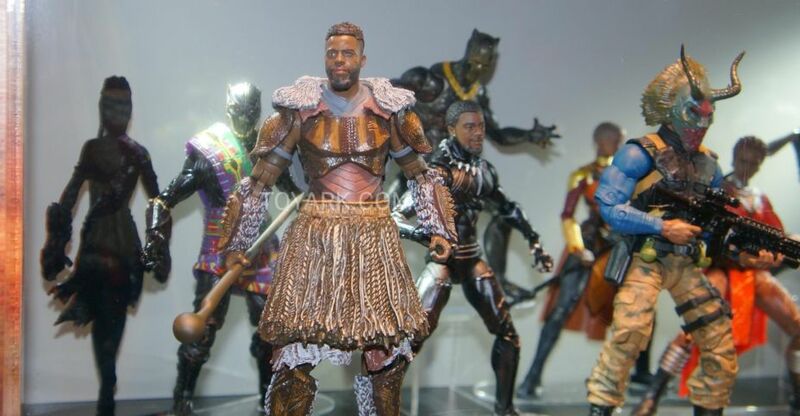 Hasbro has released new in-packaging photos for two upcoming Marvel Legends 6″ Scale Figures shown off at New York Comic-Con 2018. These figures are part of their vehicle pack releases. 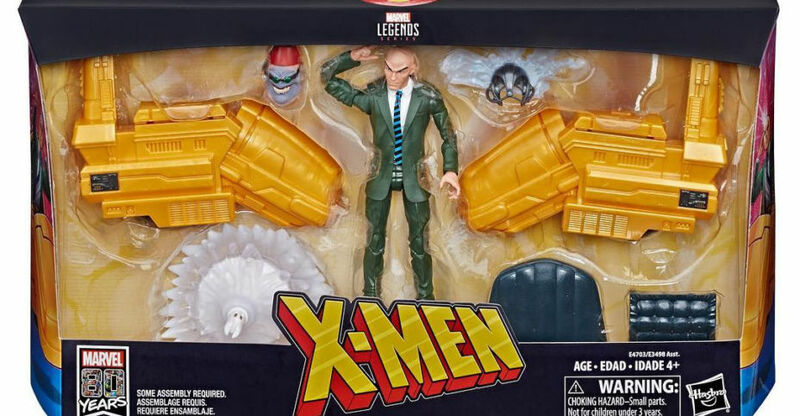 The new photos show Professor X with Hover Chair and Deadpool with Dogpool and Scooter. The figures are set for release in early 2019. You can see the photos by clicking the headline of the story. The fine folks over at Gentle Giant have posted some really cool new Marvel themed bundles for purchase. These are all previously released items, but the bundles may be too good to pass up for Gentle Giant fans. 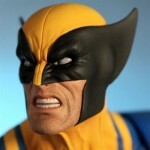 There are two Wolverine Busts that each come with a free Black Cat Mini Bust. There’s also a Deadpool Corps Box Set that comes with a free Lady Deadpool Mini Bust. Read on to see photos of the items. One of the coolest items to be released at San Diego Comic Con was the Deadpool Corps box set, aka the Taco Truck. The set features 6 characters – 3 regular Marvel Universe style figures (Deadpool, Lady Deadpool, and Champion of the Universe). It also comes with 3 bonus non-articulated PVC style figs (Kidpool, Squirrelpool, and Dogpool). All of that was wrapped up in a Taco Truck box, with each character individually packaged in a taco. WTF you ask, well, that’s Deadpool and his mini universe for you. Check out over 80 high resolution images of the boxset by reading on! Read on to check out the images an some info. To check out the hi-res GI Joe vs Transformers pics, see our sister site Hisstank.com. SDCC 2013 Deadpool Corps Revealed! Marvel.com has officially unveiled the San Diego Comic Con 2013 Deadpool Corps Box Set, in all it’s taco truck glory. Check out all the images after the break! The Merc with a Mouth teams up with his favorite allies — alternate universe versions of himself– in this highly collectible and unique action figure set. 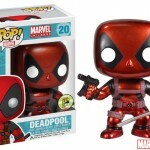 The 3.75-inch Marvel Universe figures of Deadpool, Lady Deadpool and Champion of the Universe, along with figurines of Kidpool, Dogpool and Squirrelpool come packaged in individual “taco shells,” all inside a collectible taco truck package! 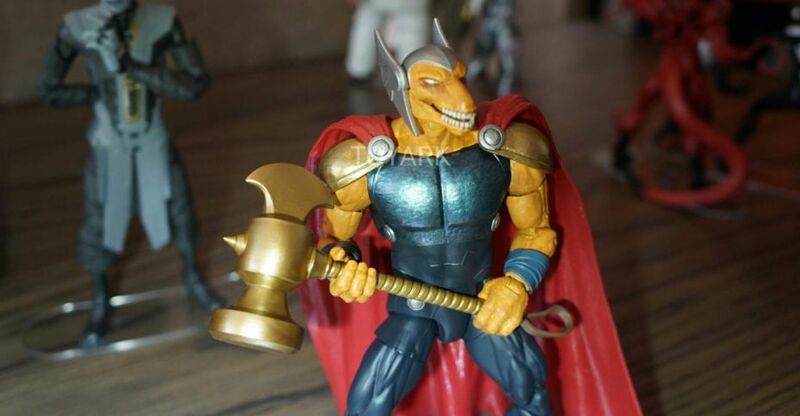 Following the convention, a limited number will be available on HasbroToyShop.com.